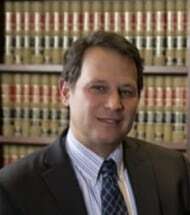 Jeffrey E. Goldman is the principal attorney at the Law Offices of Jeffrey E. Goldman. His practice focuses on employment law and business litigation as well as trusts and estates. Mr. Goldman represents employees in all aspects of employment law including prosecuting claims for unpaid overtime compensation, discrimination, and wrongful termination. He also regularly negotiates employment contracts, severances, and non-competes. Mr. Goldman is a regular speaker at legal events and continuing legal educations seminars. In 2012, he was a panel speaker at Cardozo Law School on representing employees in employment law matters. In 2005, Mr. Goldman presented a seminar at the New Jersey Institute for Continuing Legal Education on federal and state estate planning for LGBT couples and legal challenges for gay and lesbian couples in New Jersey Surrogate's Court. In 2002, Mr. Goldman spoke at the Philadelphia Bar Association's program on employment issues associated with internet companies entitled "Winding Down your Dot Com." He was also a speaker at the 1998 National Employment Lawyers Association ("NELA") conference on sexual orientation discrimination. Mr. Goldman is a member of the New York State Bar Association, the New York City Bar Association, and the Pennsylvania Bar Association. He is an active member of the New York Chapter of NELA, and he is the former co-chair of the Pennsylvania Chapter of NELA. Mr. Goldman served on Community Board 5 in New York City from 2006 through 2008. Mr. Goldman is admitted to the bar in New York, New Jersey, and Pennsylvania. He has appeared in the Southern District of New York, the Eastern District of Pennsylvania, and the Third Circuit Court of Appeals. Mr. Goldman received his bachelor of science in 1985 from the University of the Sciences in Philadelphia. He received his juris doctor in 1992 from the Beasley School of Law at Temple University. 1. Prior results do not guarantee a similar outcome. 2. Prior results do not guarantee a similar outcome.